Kokoda is a world famous trail in Papua New Guinea where Papuans fought alongside Australians to help to liberate New Guinea from Japanese control during the Second World War as they did throughout New Guinea. The so called “Fuzzy Wuzzy” angels were Papuans who flocked to help the struggling Australian soldiers, acting as guides and stretcher bearers. They helped to save countless Australian lives during the war and are held in high regard by most Australians today. Papuans died defending the freedom of Australians. Now is a chance for Australians and anyone who wants to, to walk for the freedom of Papuans! 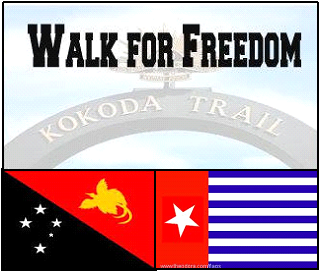 The Walk for Freedom – Kokoda Trail is a new initiative, started this year to raise awareness and support for the people of West Papua who are still suffering under military occupation. 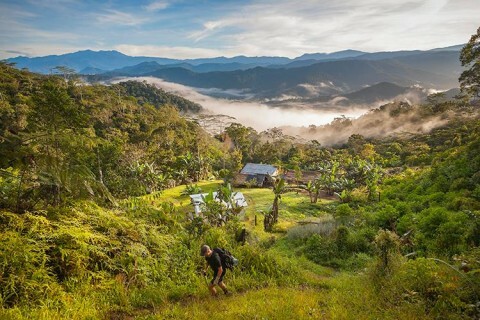 Please have a look at the Walk to Freedom Kokoda Trail official media release here, provided to us to share with all those interested with joining and supporting this great new project. Since the end of the Second World War in Papua New Guinea, the Kokoda Track has served as a symbol of the hard-fought freedoms that are enjoyed by present generations of Papua New Guineans. When the Australian forces and their Papua New Guinean counterparts successfully stalled the Japanese Imperial Army march on Port Moresby during the Battle of Kokoda, this liberating feat allowed for the emergent Melanesian state of Papua New Guinea to craft its national myths. The Kokoda Track is a testament to sacrifice and struggle. The celebration of freedom is however an elusive reality for Melanesians on the western half of the island of New Guinea. The freedoms and the liberties that Papua New Guinea enjoys are not evident in West Papua. West Papuans have become minorities on their own land as a result of repressive policies instituted by the Republic of Indonesia. The Walk for Freedom is an act of solidarity to restore the dignity of our peoples in West Papua. The Walk for Freedom activity that is presently organized by Ms. Eileen Marai, in partnership with the Kokoda Ultimate Tours and the Free West Papua Campaign will coincide with the ANZAC celebrations. The Walk for Freedom will happen from the 18th to the 26th of April, 2014. The primary objective of the Walk for Freedom is to raise the profile of the continued struggle for freedom and independence by Melanesians in West Papua. Interested participants are cordially invited to participate in The Walk for Freedom along the Kokoda Trail. The Kokoda Ultimate Tours group – a locally owned tour company have availed their services. At a fee of K2000 per person, the Kokoda Ultimate Tours will cater the participants in this Walk for Freedom. 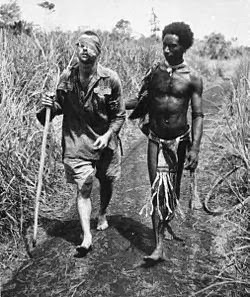 The Walk for Freedom will be from Owen’s Corner to Kokoda and on to Popondetta. If you are willing to assist this awareness drive financially, a bank account with Westpac, Boroko has been created for this purpose. All pledges and donations will be accounted for and acknowledged during and after the Walk for Freedom. Participants are expected to fulfil the K2000 fee by the 20th of March 2014. A record participants completing Trekking Fee will be kept. The breakdown in the expenses for the Trekking Fee will cover: Personal Porter and Food for the entire trek, Transport to Owen’s Corner, Trail Permit from Kokoda Trail Authority, Accommodation in Kokoda and Airfares back to Port Moresby. Walk together one more, for a FREE WEST PAPUA! 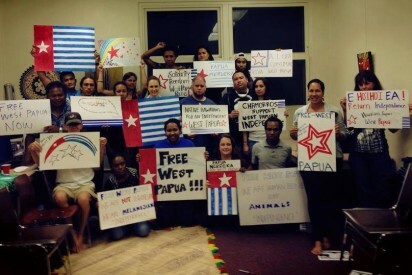 We need to get the voices of the people of West Papua heard around the world. Join in their cry for freedom “Papua Merdeka!”.